April 8 to May 19, 2018- And There's the Humor of It: Shakespeare and the four humors banner exhibit from the National Library of Medicine, History of Medicine Division. 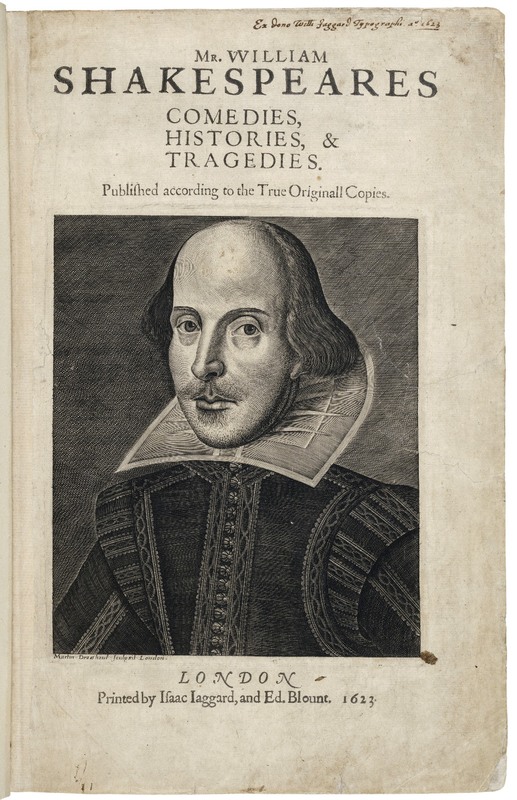 William Shakespeare (1564-1616) used the language of his time to create his enduring characters and plots, including the belief that the four bodily humors determined health and personalities. They believed that emotions such as anger, grief, hope and fear were physically determined by blood, bile, melancholy and phlegm in the body. These banners examine the use of the four humors in Hamlet, The Merchant of Venice, and The Taming of the Shrew. The exhibit is free to the public and available during the hours the campus buildings are open. These banners will be on display in the lobby of Ford Theater in Bliss Hall from April 8- 24 and the Reference Room (main floor) of Maag Library from April 25 to May 18. May 14, 2018 at 11am- presentation "Quack Medicine and the Birth of the FDA" for the Gathering Place social group for local seniors (Lord of Life Church, 550 North Broad Street, Canfield, OH). All lectures sponsored by the Melnick Medical Museum have been recorded and are available on YSU's digital repository. February 12, 2018- Cassie Nespor gave the presentation "The Iron Lung: Medicine's first life-saving machine" as part of the YSU Penguin Think series on the consequences of innovation. December 21, 2017 MVHS "Bits and Bites" program- During WWI, the United States created a system of Base Hospitals in Europe to support the Allied Troops. These Base Hospitals were funded and staffed by civilian volunteers from all over the country. Youngstown and the surrounding area gathered enough support to create Base Hospital #31, which was active from December 1917 through March 1919. This presentation will highlight the work of Base Hospital 31 and stories of the local doctors and nurses who volunteered to serve near the front lines in France. It will also bring to light the lives of the enlisted men who were clerks, attorneys, carpenters, steel mill workers, laborers, and students in the Mahoning Valley. The presentation will include many photographs from the group as well as an interactive map showing the personnel and their route to France and back.Please contact the Melnick Medical Museum if you have information or artifacts related to Base Hospital 31. The program is free and held at the Tyler History Center (33 West Federal Street, Youngstown). September 26, 2017 - The Vienna Historical Society will host a presentation on Advancements of Civil War Medicine, including a look at an 1880s surgical kit. The event is free and open to the public at the Vienna Township Hall 848 Youngstown Kingsville Road, Vienna OH 44473. September 18 to October 28, 2017- Pick Your Poison: Intoxicating Pleasures and Medical Prescriptions banner exhibit from the National Library of Medicine, History of Medicine division. Mind-altering drugs have been used throughout the history of America. While some remain socially acceptable, others are outlawed because of their toxic, and intoxicating, characteristics. These classifications have shifted over time and will continue to change. The transformation of a particular drug, from acceptable indulgence to a bad habit, or vice versa, is closely tied to the intentions of those endorsing its use and their status in society. This exhibition will explore some of the factors that have shaped the changing definition of some of our most potent drugs from medical miracle to social menace. Banners discribe tabacco, alcohol, opium, cocaine, and marijuana. May 9, 2017- Cassie Nespor, museum curator, will give a presentation on Civil War medicine and advancements at the Springfield Historical Society meeting (Petersburg, OH) The event is free and open to the public. April 5, 2017- Cassie Nespor, museum curator, will speak about Patent medicines and quack devices at the Mens Gardening Club meeting (Fellows Riverside Gardens) The meeting is free and open to the public. March 13 to April 2017- For All the People: Citizen Action in Health Care Reform banner exhibit from the National Library of Medicine, History of Medicine division. Health care reform has been a contentious political issue in the United States for more than a hundred years. From the beginning of the 20th century to today, citizens have made their voices heard in these debates. This banner exhibit tells the lesser-known story of how movements of ordinary people helped shape the changing American health care system. December 15, 2016- Cassie Nespor, Medical Museum curator, will give a presentation "Polio and American Culture" at the Tyler History Center (325 W. Federal Street, Youngstown). This presentation explores how American culture was shaped by the polio epidemics of the 20th century, including its impact on our expectations for medical treatment, the perceived power of vaccines, and the birth of modern physical therapy. May 17, 2016- Poland Township Historical Society meeting (4515 Center Road, Poland, OH 44514). "Medicine and Medical Advancements of the Civil War" presentation supplimented with artifacts from the Melnick Medical Museum collection. This presentation was free and open to the public. April 9, 2016- Civil War reenactment at Eastwood Mall (Niles, OH). This reenactment will feature a visit from President and Mrs. Abraham Lincoln. The Medical Museum will have a table with Civil War-era medical instruments including an amputation kit. September 12 to November 6, 2016- Every Necessary Care and Attention: George Washington and Medicine banner exhibit from the National Library of Medicine, History of Medicine division. As head of household, plantation owner, businessman, Revolutionary War general, and president, George Washington had many different concerns and responsibilities. Despite the demands of political life and military leadership, he focused considerable attention on the health and safety of his family, slaves, and troops. Washington's status and wealth gave him special privliges. During his lifetime, as the practice of medicine slowly became a licensed profession, he could call on a growing class of experts and benefit from new discoveries about the spread and prevention of disease. Even so, Washington, like everyone else in his time, encountered the limits of medicine when faced with serious illnesses. April to May 15, 2016- From DNA to Beer: Harnessing Nature in Medicine and Industry banner exhibit from the National Library of Medicine explores some of the processes, problems, and promises inherent in technologies that use microorganisms for health and commercial purposes. Over the past two centuries, scientists, in partnership with industry, have developed techniques using and modifying life forms like yeast, mold, and bacteria to create a host of new therapies and produce better foods and beverages. The exhibition illustrates the history of this dynamic relationship among microbes, medicine, technology, and industry. This banner exhibit was on display in Maag Library and Ward Beecher Hall. September 2015- January 2016: The Doctor Will See You Now: Scenes from the Melnick Medical Museum was on display at the Tyler Mahoning Valley History Center (325 W. Federal Street, Youngstown, OH). This exhibit showcased one of the favorite exhibits at the Melnick Medical Museum, the office recreations. In addition to information about doctors offices from 1905 and 1930, it included information about Youngstown medical history from those time periods. September 29, 2015: John Granger presents "Literary Alchemy: The Secret Magic-Formula of Harry Potter and Today’s Best Selling Books." Of the literary keys that unlock Harry Potter, the strangest and most fascinating door-opener is Ms. Rowling’s use in her books of medieval alchemy, the sacred science of changing lead into gold. Everything from the titles, character names, and the transformations Harry goes through in each book have alchemical roots. John Granger, the Potter Pundit whom TIME calls "the Dean of Harry Potter scholars," explains the tradition of this artistry from Shakespeare to C. S. Lewis along with the three alchemical stages in each of the beloved Potter books and the series as a whole. With the tools John shows readers how to use, you will see what Harry Potter, Twilight, and The Hunger Games have in common not only with each other but with Shakespearean drama, the Metaphysical Poets, and novels by Charles Dickens and C. S. Lewis. A recording of his lecture is here. September 1 to October 10, 2015: Harry Potter's World: Renaissance Science, Medicine, and Magic banner exhibit from the National Library of Medicine, History of Medicine division. Although its a fictional story, the magic in the Harry Potter books is partially based on Renaissance traditions that played an important role in the development of Western Science, including alchemy, astrology, and natural philosophy. Incorporating the work of several 15th and 16th century thinkers, this banner exhibit examines important ethical topics such as the desire for knowledge, the effects of prejudice, and the responsibility that comes with power. This exhibit, using materials from the National Library of Medicine, explores Harry Potter's world and its roots in Renaissance magic, science, and medicine. This banner exhibit was displayed in Kilcawley Center, Youngstown Public Library, and DeBartolo Hall. September to October 11, 2014: Opening Doors: Contemporary African American Surgeons traveling exhibit from the National Library of Medicine, History of Medicine Division. This exhibit celebrates the contributions of African American academic surgeons to medicine and medical education. It tells the stories of four pioneering African American surgeons and educators who exemplify excellence in their fields and believe in continuing the journey of excellence through the education and mentoring younger physicians and surgeons. They are Dr. Alexa Canady, Dr. Claude Organ, Jr., Dr. Rosalyn Scott, and Dr. LaSalle Leffall, Jr. The exhibit also provides a glimpse into the stories of those who came before them and those that continue the tradition today. This banner exhibit was in the atrium of Cushwa Hall. April 30, 2014- Betsy Estilow, President of the Board of Directors of the National Museum of Civil War Medicine and co-founder of the Society for Women in the Civil War, gave a lecture entitled "Overlooked and Undervalued: The role of African-Americans in Civil War medicine." In it, she pointed out that African American men and women joined the war effort working in hospitals, on battlefields, and with relief agencies in both the North and the South. They served as surgoens, nurses, hospital attendants, cooks, and laundresses. In these roles, they challenged the prescribed notions of race and gender at the time.The recording of the lecture is available here. January 30, 2014- Kelly Selby of Walsh University delivered a lecture entitled "Black Veterans: Redefining Citizenship in Post-Civil War Ohio." This talk illuminated how veterans of the United States Colored Troops used their wartime service to claim the rights promised by the 14th and 15th Constitutional amendments- and ultimately tested the meaning of Ohio citizenship in the late nineteenth century. This lecture is part of the Ohio Humanities Council Speakers Bureau program. The recording of this lecture is available here. January 23, 2014- Dr. Sheena Eagan Chamberlin of University of Maryland University College, delivered a presentation on "Historical Understandings of War Trauma and PTSD: an exploration of social history through cultural narrative." Cultural narratives have shaped the history of post-traumatic stress disorder (PTSD), affecting how it has been understood as well as the way its sufferer's have been treated. This presentation explored this shifting narrative from a gendered stigmatization to its medicalization and recently to an emerging hero-narrative. The recording of this lecture is available here. October 19, 2011- Kelly Selby of Walsh University explained how the women of Ohio contributed to the Union Army's victory in the Civil War through their work in Soldiers' Aid Societies and Sanitary Fairs. The audio of "Ohio Women and the Civil War Home Front" is available here. March 23, 2011- Dr. Peter D'Onofrio of the Surgeon's reenators guild discussed how the Civil War was the first modern war for the United States and detailed some of the rapid advancements made in American medicine during this time and their impact on subsequent developments in medicine. The audio recording of "Medical Advancements in the Civil War" is available here.